Collection of 19th through 21st century American art, also shows special international exhibitions. The Academy also has New York’s oldest School of Fine Arts. Since its inception in 1825, the National Academy of Design--a museum, an association of artists, and New York's oldest school of fine arts--has been actively developing a collection of American art. With almost 7,000 paintings and sculptures, the Academy's collection is one of the largest and most important assemblages of American art held by any institution in the world. Through the past 171 years its artist members, faculty, and students have included many of America's most respected artists, such as Frederic Edwin Church, Thomas Cole, and Winslow Homer. The Academy's collection is a reflection of most of the major and minor movements and styles of American art from the early 19th century to the present. The Academy's home, a landmark Beaux-Arts town house on Fifth Avenue is also a rich reflection of the institution's history. 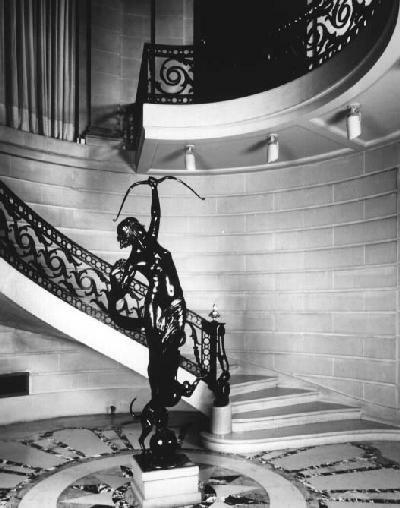 Originally, the home to noted sculptor Anna Hyatt Huntington, NA, the 1901 townhouse was given to the Academy by Mrs. Huntington and her husband, railroad heir and scholar Archer Huntington in 1940. Its stunning interiors, designed by gilded age architect Odgen Codman, Jr., provides an exquisite backdrop for the viewing the collection. With its exhibitions, the Academy celebrates its collection and its role as an organization that has fostered American art for nearly two centuries. Friday-Sunday, 11:00 am - 6:00pm. Holiday closure: Thanksgiving, Christmas, Day, and New Year's Day. Director: Annette Blaugrund, Ph. D.